Hand Levels can be a great tool for use by professionals and consumers. They are a very practical and low cost tool with a wide variety of uses. They were first created when someone thought of attaching a spirit level to a telescope. Once the instrument is level, the user looks through the telescope to compare different points against the same reference point. It is used for rough leveling and not designed for precision work. Sometimes Professional Land Surveyors or Grading Contractors will use a Hand Level to get an idea or estimation of level instead of taking the time to set up a tripod with a leveling instrument. EngineerSupply sells Hand Levels. Internal stadia markings assist the user in determining the distances. Land Surveyors and Land Development Professionals use Hand Levels and Sight Levels as they are ideal for preliminary survey and simple distance estimation. Hand levels are ideal for laying lawns, paving, brick-laying, creating retaining walls, grading and excavation work, shed and pergola construction, fencing and numerous other home DIY projects. 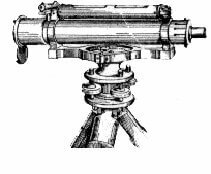 An Abney Level is similar to a Hand Level in that it is a telescope with a spirit level attached. The main distinction is that the spirit level on an Abney level is not set in a static horizontal position. An Abney Level features a graduated arc. EngineerSupply sells Abney Levels. 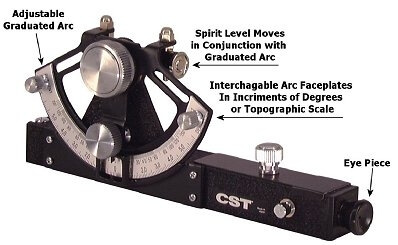 Once the arc is set at a specific degree it will cause the spirit level to show level at that specific angle. Many Abney levels will feature items such as stadia and will have a feature to focus items at different distances. Some even have a magnification feature. Abney levels are easier to use and inexpensive. They are used to measure degrees, percent of grade and topographic elevation. The user can then determine height, volume and grade through manipulating the readings with trigonometry. Land Surveyors, Builders, Contractors, Agriculture Professionals, Foresters, and many other Professionals use Abney levels. 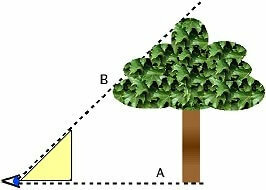 One unique use of an Abney level is to indirectly measure the height of a tree. Dumpy Levels are more like a Builders' Level than a Hand Level. It is not a hand-held tool, but instead needs to be mounted on a tripod. It has largely been replaced by Auto Levels and a Builders' Level. It needs to be perfectly level on all 4 leveling screws because it has no self leveling features like most Auto Levels today. Any slight variation will cause measurements to be inaccurate. Auto Levels allow the user to set the instrument close to level and the instrument will adjust the fine level using its internal compensator. This decreases setup time and improves accuracy of measurements. Although dumpy levels are not typically used anymore many people will refer to Auto Levels and Builders' Levels as “dumpy levels” despite the vast differences in the instruments.